During facilitation sessions, I offer a safe and accepting space where we can deeply connect and explore together whatever may be arising for you. 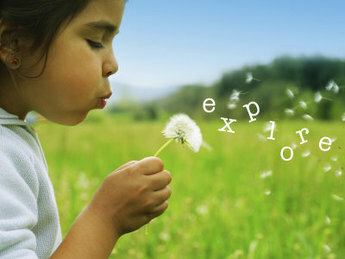 Life provides us with situations and opportunities in order for us to explore and learn more about ourselves. The support of another can be invaluable in such explorations. I am experienced with spiritual awakenings and assisting people in finding their own unique path. I do not offer answers or solutions, rather without judgement assist you in finding your own way. I have trained as an Openhand Facilitator and completed a certificate in Counselling skills, as well as having learned from my own personal life experiences, other training, amazing teachers and guides. On my own path I found it invaluable to learn from others and the world around me. I have always felt somewhat different and that I didn't quite belong in a society that seemed somewhat absurd. I questioned life and how society operates and found my own answers based on deep exploration, inner knowing, guidance and connection with the Universal flow. I am committed to my own journey of growth and am aware of how it is to be on the receiving side of a facilitator/mentor relationship. I feel honored and passionate about sharing and assisting others in their explorations. If you have any further questions feel free to get in touch, I charge £60 for a 90 minute session (recommended) or £45 for a 60 minute session (concessions and discounts are available so don't let cost deter you). I am based in Edinburgh, Scotland. Sessions can be done over the phone, via Skype, in Roslin or at a central Edinburgh location. All sessions are totally confidential, I may share aspects of our engagement with other my supervisor in order to gain insight or clarity, though this is always done anonymously and with mindfulness. Birth exploration sessions are similar to facilitation sessions, though particularly focused around your birth experience or your anticipation of giving birth. Prebirth - Pregnancy and the time prior to birth can be an awesome experience and an incredibly powerful and spiritual time in a woman's life. She and her body are going through enormous changes as she prepares to bring new life into the world. It can be a time when she is exceptionally sensitive and aware. Some times women have fears, anxieties or blockages that are best worked through prior to birth. Now and then for various reasons, women feel pressure from the medical system to follow procedures and take advice from "experts" who apparently "know best". It is your body an I believe you intuitively know what is best for you and your baby. You have the right to make the choices that are right for you. I encourage women to explore, become informed and make their own informed decisions. I offer a safe, non-judgemental space for you to examine your options and choices. Postbirth - Birth doesn't always go according to one's plan and expectations, occasionally things can happen that result in upset or trauma. It is important to acknowledge and work through such trauma, fears and experiences. I offer birth exploration sessions where we explore your experiences, fears, anxieties, joys and anything else that may be happening for you. Talking mats for birth - this is a way of looking at how you are anticipating or have found your birth experience using symbols. It's amazing how much we can explore and what comes up through this medium. It can provide us with a basis upon which to explore deeper. Please feel free to get in touch if you would like to book a session or discuss further.